Protecting your personal information is important to us. 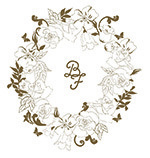 To visit our online-shop belle-fleurelle.com, you do not need to specify data. We only store anonymous access data without personal reference, such as the name of your internet service provider, the page from which you visit us or the name of the requested file. For data collection, cookies can be used here, which, however, also collect and save data in anonymous or pseudonymous form and do not allow any conclusion on your person. We only collect personal data if you submit optional information during the ordering process ,when opening an account, or registering for our newsletter. We only use the collected data for the implementation of the contract. Once the contract management has been completed, your data will be blocked and deleted. unless you do not agree explicitely to make use of the data above all. When you sign up with your email address to receive our monthly newsletter, we use your e-mail address for advertising purposes until you unsubscribe, which is always possible. When participating in sweepstakes , we use your data for the purpose of winning notification and advertising of our offers. Detailed informations can then be found in our guidelines for each lottery. In addition, your data will be used for market and opinion research. Of course, we only use those anonymous for statistical purposes and only for the Illuminate Cosmetics GmbH. All of your survey responses will never be communicated to third parties. I agree that Illuminate Cosmetics GmbH processes and uses my personal data for own purposes of market research. a) A transfer to our shipping company shall always be for the purpose of delivery. The disclosure includes only those data that are necessary for delivering the goods. b) If payment services for the payment transaction are used (eg. Paypal, Visa, MasterCard, etc. ), your data will be passed on to the used payment intermediaries. This also applies to the credit institutions responsible for the execution of the payments. c) In the case of payment problems all overdue accounts can be passed to a collection agency. In addition, information can be sent to credit bureaus. The disclosure of the personal data necessary for this purpose depends on the reply to the SOLVENCY. The transferred data may be used by service providers for the sole purpose of its disclosure. (2) In addition, your personal data is not shared with third parties, unless if we are not obligated by law or you have given us an appropriate consent. (3) Personal information that you provide us to process order transactions can be stored due to commercial and tax reasons up to 10 years. (4) Your personal information is safe with us! We use the certificate SSL123 of the certification authority thawte, which transfers your data securely to us. (6) Without the consent of the customer, Illuminate Cosmetics GmbH will not use data of the customer for purposes of advertising, market or opinion research.